Keto Jelly Slice Recipe Low-Carb "Creamy Center & Crumbly Base" Easy! Home » Recipes » Low Carb Keto Jelly Slice Recipe – “Creamy Center & Crumbly Base” – Easy Bake! 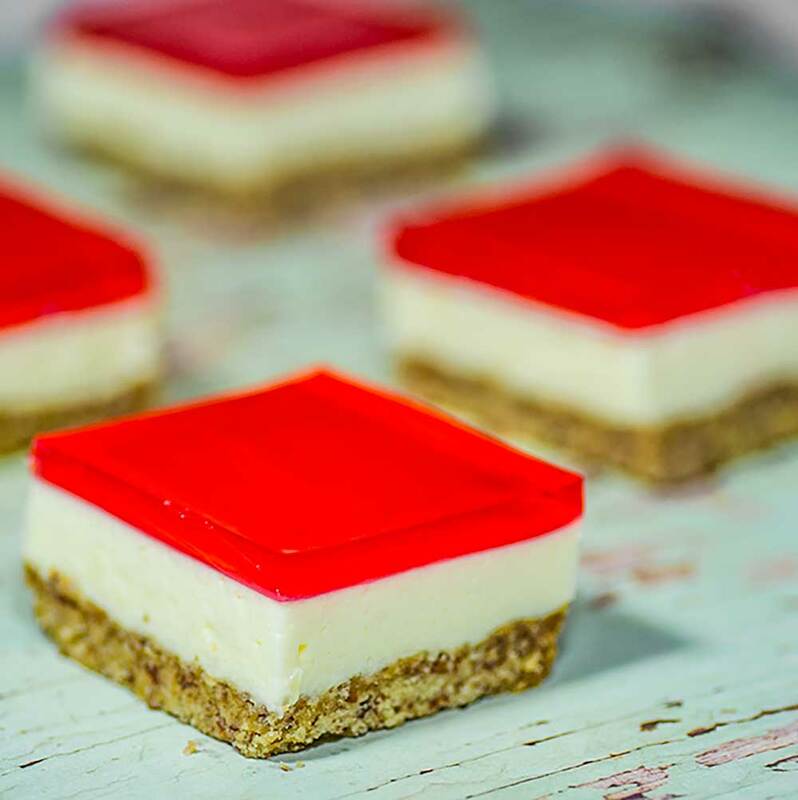 This low-carb Keto Jelly Slice recipe is creamy in the center with a crunchy base, the three different textures taste amazing in your mouth. If you follow the instructions it’s quite an easy dessert recipe to make. Our Sugar-Free Sweetened Condensed Milk recipe is the key to this delicious dessert, we’ve made our own based on heavy cream to keep the carbs as low as possible. 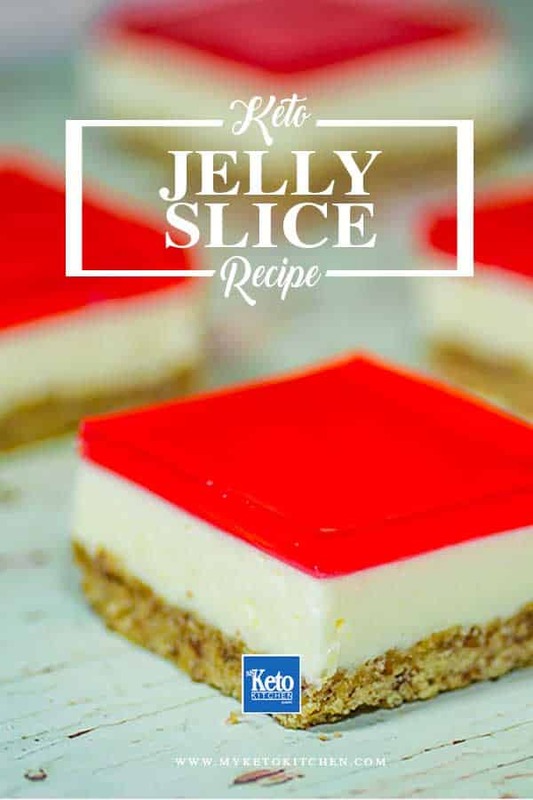 This creamy low carb keto jelly slice recipe makes 24 servings, the recipe card reflects 1 serving which is 1/24 of the total recipe. Mix together the almond meal, Natvia and melted butter. Press into the base of a rectangle baking pan and bake for 10 to 12 minutes, until firm and starting to brown on the edges. We used this 11 x 7in brownie pan. Cool the base in the fridge. Dissolve the gelatine in the 1/4 cup of boiling water. Mix the Sugar-Free Sweetened Condensed Milk and lemon juice together. Add the gelatin and quickly combine, as the hot gelatin will set fast when added to the cold mixture. Pour over the cooled base and set in the fridge for 40 minutes, or until firm. Dissolve the jello in 3/4 cup of boiling water. Add the cold water and allow the jello to cool to room temperature. Gently pour the cooled jello over the set filling. We suggest pouring the jello over a spoon to prevent the layer underneath from dissolving under the pressure. Set in the fridge for an hour or until completely set before cutting into 24 squares. Enjoy! Want a variety of slices to serve your friends and family, try these Low-Carb Cherry Cream & Chocolate Bars. 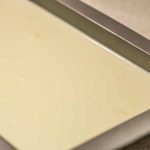 Keto Jelly Slice Recipe - "Creamy Center & Crumbly Base" - Easy Bake! Nana always made the best Jello Bars, or Jelly Slice as we liked to call it. It was a staple at birthdays and family gatherings, and always the first to be demolished by the children. 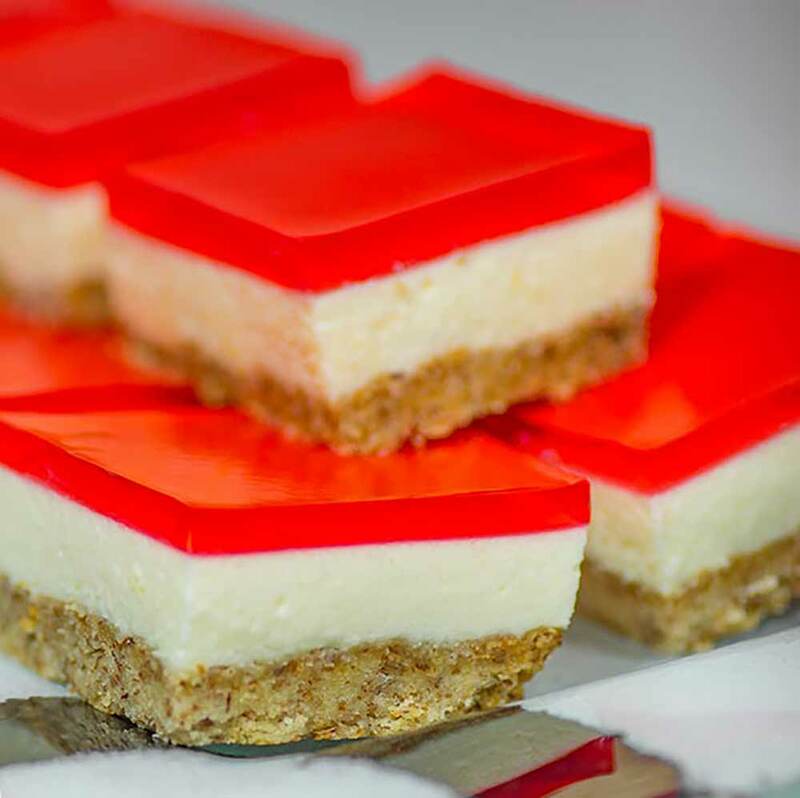 Chef Gerri has re-created the nostalgia with her Low Carb Jelly Slice, and it is amazing. Press into the base of a rectangle baking pan (11 x 9 in) and bake for 10 to 12 minutes, until firm and starting to brown on the edges. Mix the Sugar Free Sweetened Condensed Milk and lemon juice together. Add the gelatin and quickly combine, as the hot gelatin will set fast when added to the cold mixture. Pour over the cooled base and set in the fridge for 40 minutes. We make quite a few keto jelly recipes as its a very versatile ingredient as you can get sugar free versions. When mixed with healthy fats they make excellent ketogenic snacks and desserts. Some of these keto jelly recipes are very attractive and make excellent dish presentation for a classy morning tea or dinner party. 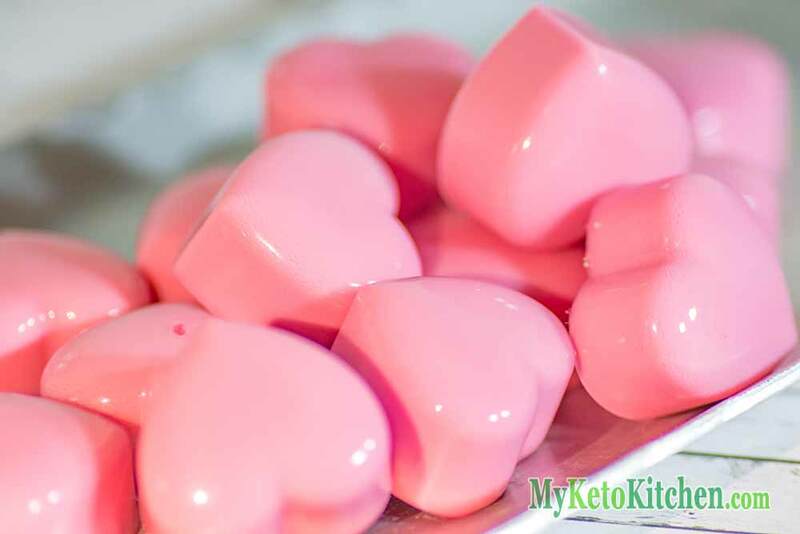 The keto jelly hearts make a great surprise for a loved one, birthdays, Valentine’s day and anniversaries. We eat them anytime though! 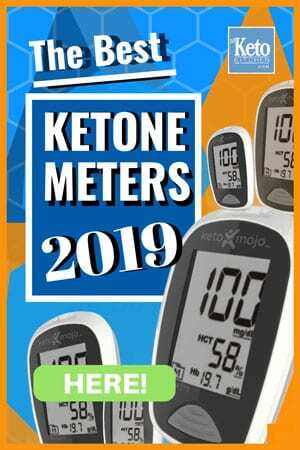 The Keto jelly ring recipe slices into perfect portions and the flavors burst in your mouth as you chew them. Great for a fancy morning tea or when friends arrive, these Keto jellies deliver a good dose of fat. 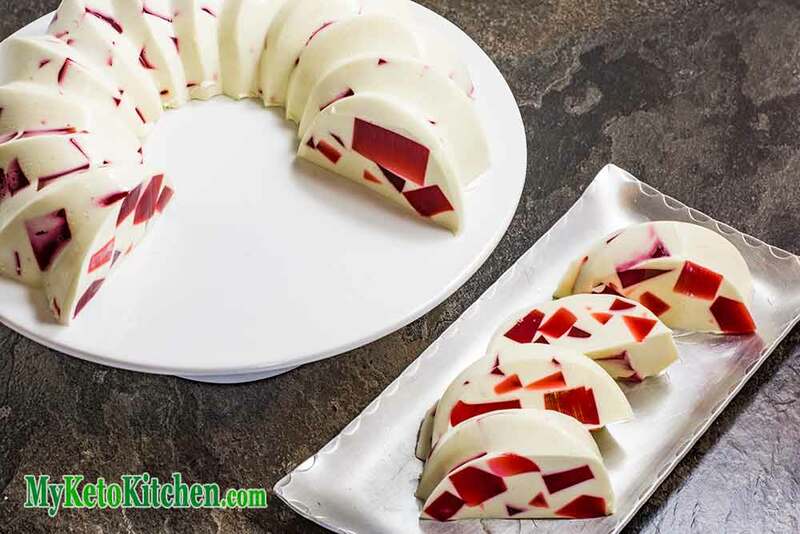 To make a larger batch of your creamy Low Carb Jello Slice recipe adjust the servings above. Hello! What do you mean by pouring the jello mixture over a spoon? I don’t understand how to perform this step in the recipe. Thank you in advance for your response. You want to avoid pouring the jello directly onto the layer below as it can create holes and cracks, and if the jello is too warm it can start to dissolve the layer. What you want to do is to hold a spoon a 1-2 inches above the slice (in a flat position, as if it is full of liquid and you are raising it to your mouth), then pour the jello onto the spoon so it trickles off on all sides. It’s a much gentler approach that pouring the jello straight on top.